Zora Neale Hurston once wryly dubbed the rooming house that queer writers Wallace Thurman, Bruce Nugent, and Langston Hughes all called home “Niggerati Manor.” The tenement building (also known as “267 House”) was owned by Iolanthe Sydney, a black philanthropist who offered rooms rent-free to artists in order to support their work. Nugent – a painter as well as a writer – reportedly painted brightly colored phalluses on the interior walls. It was at this address that Thurman, Nugent, Hurston, Hughes, and others started the experimental literary journal Fire!! in the summer of 1926. Each of its seven founders pledged 50 dollars to the effort, but, according to Hughes’s memoirs, only three ever paid up. Since Thurman was the only one with a steady job, his checks paid for the printing bill for the first and only issue. The journal had a high price tag for the day – one dollar. Hughes later remembered that Fire!! never seemed to make money because Bruce Nugent – who was unemployed at the time – distributed it to booksellers on foot, using the little bit of cash he got from its sale to buy food. 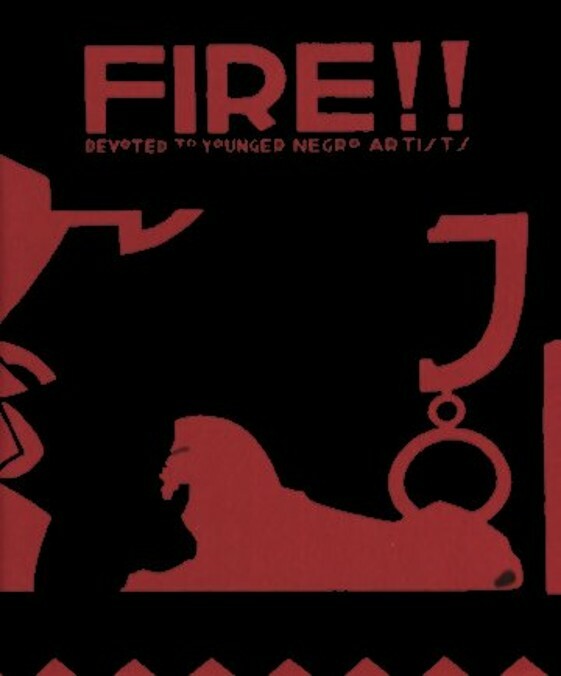 (Nugent’s “Smoke, Lilies and Jade,” the first published piece with a homosexual theme by an African-American, was one of the notable pieces included in Fire!!) Ironically, several hundred copies of the journal, which were being stored in the printer’s basement, were burned in an actual fire. It took Thurman four years to pay off the printing bills. Within two years, the inhabitants of 267 House had all moved elsewhere; but Thurman’s 1932 novel, Infants of the Spring, still provides a glimpse into life at artists’ residence.